raaco’s systems are made to create order. 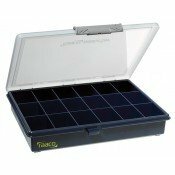 With the full raaco range of practical solutions, everything and anything can be organised and stored for easy access – small items, tools, equipment and accessories. It makes your everyday work a lot easier, and it saves you time, space and money. 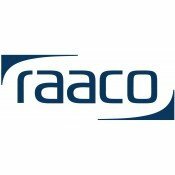 Over the years, raaco has received numerous international awards for its outstanding industrial design. That sort of recognition is something to live up to, which is why we put as much emphasis on our systems’ functionality as we do their durability. Raaco PSC5-18 Fixed Compartment Box 18 Compartment***18pcs only left*** Size 43x240x195mm Made of ..